Of course, I’m being somewhat facetious here. The idea of prospective parents applying for parental licences will strike many as both absurd and offensive. But there is no idea so absurd and offensive that at least one philosopher has not defended it. And when it involves something as contentious as parent-child relationships, you can rest assured that there will be more than one. In this post, I want to review the philosophical debate about parental licensing. I start by looking at Hugh LaFollette’s now-classic argument in favour of parental licences. This argument was originally published in 1980 in Philosophy and Public Affairs. It has since been the subject of much commentary. After outlining LaFollette’s argument, I want to consider a recent critique of that argument from Jurgen de Wispelaere and Daniel Weinstock. As we shall see, they claim that while there is something to be said for educating prospective parents and avoiding risks to children, it is not at all clear that licensing is the best way to go about doing this. Let’s see how the argument develops. LaFollette’s argument for parental licensing was based on a simple set of analogies. Modern societies routinely rely upon licensing regimes. The most obvious example is the licensing regime that governs the driving of cars. If you want to drive a car, you must earn a driving licence. This involves passing a test of knowledge and skill that establishes a minimum level of competence. The same holds true in other areas. If I want to practice brain surgery, I have to earn a medical licence. If I want to practice law, I have to earn a law licence. And so on. What is the rationale for all these licensing regimes? The answer seems pretty straightforward. Activities like driving and brain surgery carry significant risks to the rest of society. A car is a dangerous weapon in the wrong hands. Likewise a scalpel. We can reduce these dangers by having a testing and credentialing system that establishes basic levels of competency. The benefits of such policies more than outweigh the risks. This chain of reasoning may not hold true in all cases. The cost of licensing lawyers, for instance, may not outweigh the benefit. But that doesn’t matter right now. What matters is that it holds true in some cases. That is all that LaFollette’s argument requires. Because if it does hold true in some cases it should also, by analogy, hold true in the case of parental licensing. Having and rearing children is a risky business. Incompetent parents risk causing significant long-term harm to the their children. A licensing system would train parents to obtain a basic level of competence and would filter out those who pose a serious risk to children. The benefits would outweigh the costs. (1) Licensing systems are desirable/justifiable in the case of driving, doctoring or lawyering on the grounds that (a) those activities pose significant risks of harm to others; and (b) a licensing system would help to reduce those risks in a cost-effective manner. (2) Reasons (a) and (b) would also be true in the case of parental licensing. (3) Therefore, parental licensing would be desirable/justifiable. Like all arguments from analogy, this has some holes in it. Two are particularly important. The first is the strength of the analogy itself. It could be that there are important differences between parenting and driving that justify licensing in the latter but not in the former. The second has to do with implementation. It could be that there are significant differences between driving and parenting when it comes to the practical implementation of a licensing system. In particular, the costs associated with licensing parents might be significantly higher than the costs associated with licensing drivers. Let’s consider both of these problems in turn. Consider first the important disanalogies between the activity of driving (or performing surgery or whatever) and parenting, particularly in relation to the value of those activities to those who are unjustly denied their licences. No licensing system is perfect. Every system is likely to issue “false positives” and “false negatives” (i.e. likely to deny licences to those who are genuinely competent and grant licences to those who are not). The question is whether we can tolerate those imperfections. To answer that question we need to think of the nature of the licensed activities. Driving is, for most people, a useful (occasionally necessary) convenience. It gets them about from A to B. This may have considerable value in their lives, but if they really need to get about, there are often reasonable substitutes to driving themselves. They could ask someone for a lift, or they could use public transport, or they could cycle or walk. Some of these will be more reasonable than others, depending on the circumstances. The important point is that — with some limited exceptions — there are always other ways of getting from A to B. If someone is denied a driving licence, they are not damned to permanent house imprisonment. Something similar is true of performing surgery or practicing law. Those activities will be valuable to many people. It is true that some of those people may have had their hearts set on a career as a doctor or lawyer — that it is their dream job — but there are, nevertheless, alternative forms of employment available to them, many of which might end up being equally (if not more) fulfilling. So, once again, there are reasonable career substitutes available to those who are denied their medical or legal licences. First, children are utterly dependent on parents for securing their basic needs and wellbeing, and therefore vulnerable to the choices and actions of parents. Second, children typically have no right or power to exit the relationship. Third, children’s love for their parents is spontaneous and unconditional; at times it simply defies ‘rationality’. Finally, the parent is explicitly charged with the responsibility of taking care of the child. Because of the form and quality of the intimacy associated with raising a child, many individuals develop a very strong interest in experiencing such a relationship. When you add the distinctive nature of the parental good to the fact that any licensing regime with a sufficiently large reach is likely to issue a high number of false positives, you have a situation in which those false positives start to look less tolerable. For example, if a licensing regime successfully authorised 99% of all competent parents and only denied 1% of competent parents, you still have a significant problem if the regime is used to licence every potential parent. Say you have a population of one million potential parents. Even with a 99% accuracy rate, you would be denying parenthood to 10,000 competent parents. These parents would not be like unlucky drivers who can hop on the next bus. (4) Every licensing system will be imperfect, i.e. it will deny licences to those who deserve them and grant them to those who don’t. The question is whether this imperfection is tolerable. (5) If the goods that deserving people are denied through the imperfections of the licensing system are reasonably substitutable, then some imperfections are tolerable; if the goods are not reasonably substitutable, then the imperfections are less tolerable. (6) The goods associated with traditional licensing schemes (e.g. driving, performing surgery) are reasonably substitutable; the good associated with parenting is not reasonably substitutable. (7) Therefore, the inevitable imperfections of a parental licensing system are less tolerable than the imperfections of typical licensing systems. I have relatively little to say about this argument. I agree with the De Wispelaere and Weinstock that the parental good is non-substitutable. Nevertheless, I would make two points. First, it is not clear to me that the good associated with particular careers are as reasonably substitutable as they let on. In particular, I think there may be unique goods associated with, say, the act of saving someone’s life through surgery that are not easily replicated by other career paths. Second, I think the properties of the parent-child relationship that make it non-substitutable cut both ways. In other words, the dependency and vulnerability of children might be part of what makes parenting so special, but those properties are also reasons to worry about the harms of incompetent parenting. Indeed, they may even provide stronger grounds for licensing than would apply in the case of driving or performing surgery. Let’s set aside the disanalogies for now and assume that the prima facie argument for licensing goes through. What would such a licensing system look like? What would be its practical costs? Even in his original paper, LaFollette acknowledged that it would be very difficult to implement a restrictive licensing regime. Unless you are willing to allow mass sterilisations and or invasive clampdowns on procreative sexual behaviour, the regime would probably be highly ineffective. People who would not pass the licensing tests would still be allowed to conceive and bear children. Once the children are brought into existence, various options would arise for taking them away from irresponsible parents, but this may well have undesirable effects. The adoption system is unlikely to have the capacity to absorb such children, which will put pressure on institutional or foster care systems, which are often bad for child welfare. These practical difficulties have led LaFollette to revise his proposal. 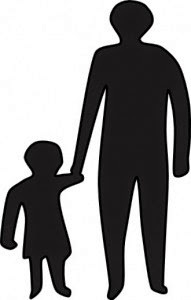 In a 2010 article, he suggests that a licensing regime should not focus on punishing or restricting unlicensed parents but should, rather, focus on rewarding or incentivising licensed parents. In particular, he suggests a system of tax breaks. Parents who are willing to undergo the training and pass the basic competency tests should be rewarded with some tax break. This would avoid the significant costs associated with a punitive regime, while still retaining some of the benefits of a licensing regime. The problem with this, as de Wispelaere and Weinstock point out, is that it leaves the licensing proposal in tatters. If the idea is that educating prospective parents has social value, and that it is not possible to punitively filter out irresponsible parents through a traditional licensing regime, then its not clear why we should retain a voluntary licensing regime. The most irresponsible prospective parents would have very little reason to engage with such a regime. Surely there are better ways of supplying the necessary education. For example, why not simply include parenting classes and tests as part of the mandatory school curriculum? That way everybody would still require some basic knowledge and skills of parenting and you’d avoid all the negatives associated with a licensing regime. This would come with its own set of problems, but they would be no more significant than the problems associated with all other forms of standardised education, and they might do some (comparative) good. This sounds about right to me. Indeed, I am more persuaded by this critique than the former one. I think a restrictive licensing regime would be morally and practically unworkable (not unless we are willing to tolerate costly invasions into our private sexual lives). Given these practical problems it seems likely that there are other, less costly, means to a similar end. In sum, the argument for parental licensing is provocative, controversial and initially quite plausible due to the seductive analogies with similar licensing regimes. In short, it has everything that you might want from an applied ethical argument. It is only when you delve a little deeper and consider the distinctive nature of the parental good and the costs of practical implementation that it starts to unravel. But there may be broader implications here. At the very end of their article, de Wispelaere and Weinstock point out that this critique of the licensing proposal might have unforeseen implications for traditional adoption regimes. After all, adoption regimes already tend to involve the de facto licensing of adoptive parents. But if licensing is unwelcome in the case of natural parents why is it any more welcome in the case of adoptive parents? There may be answers to that question, but I won’t pursue them now. Something to take up in the comments section, perhaps?